Miller Eccles Study Group Texas was pleased to host Brian and Faith Kershisnik at study group meetings in McKinney on July 28, 2017, and in Arlington on July 29, 2017. Their topic was “Creative Discipleship“. 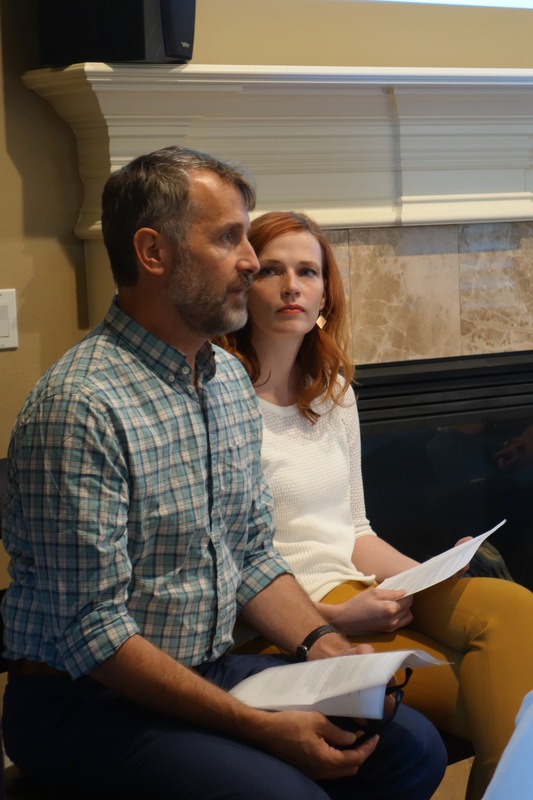 Faith and Brian Kershisnik speak to Miller Eccles Study Group Texas at a study group meeting in McKinney on July 28, 2017. 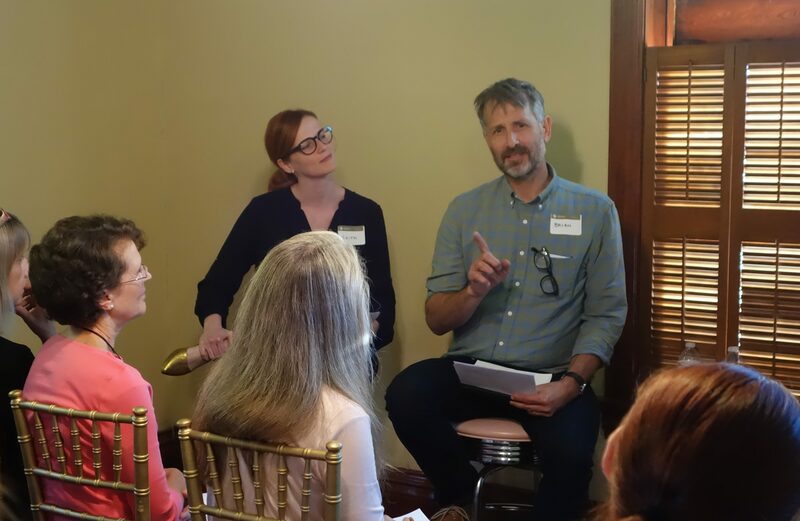 Brian and Faith Kershisnik speak to Miller Eccles Study Group Texas at a study group meeting in Arlington on July 29, 2017. 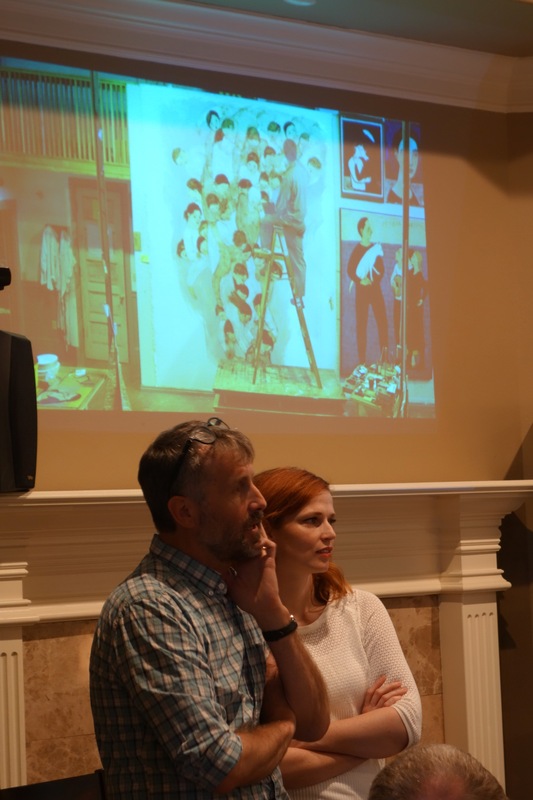 Brian and Faith Kershisnik listen to a question from the audience at a study group meeting in Arlington on July 29, 2017. 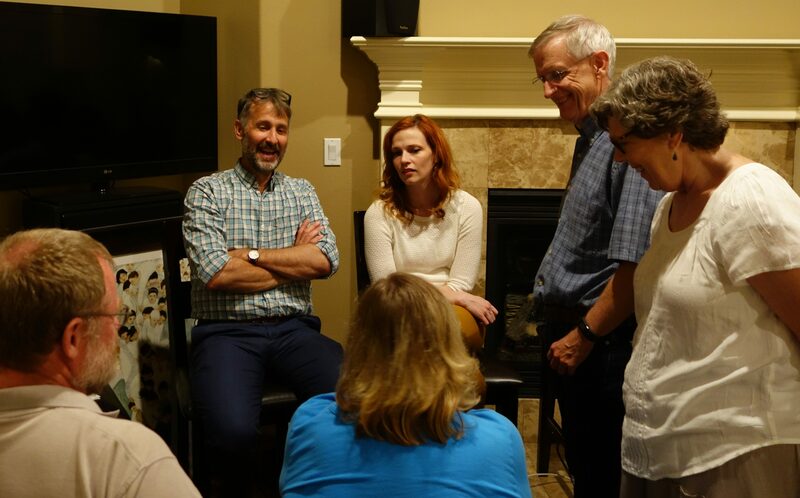 After delivering their prepared remarks, Brian and Faith Kershisnik visit with attendees of Miller Eccles Study Group Texas in Arlington on July 29, 2017.